2 Peak Aluminum Railing 42 in. x 36-5/16 in. x 1/4 in. Tempered Glass Panels, 50860. In nice condition. Panels will not warp, rot or decay, and allows maximum visibility of your home and yard while also acting as a windbreak on your deck or patio. 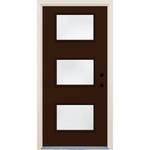 Use glass gasket to hold panels securely in place (glass gasket is sold separately MFG model number 50940). You are bidding on 2 glass panels only. 2 Peak Aluminum Railing 66 in. x 36-5/16 in. x 1/4 in. Tempered Glass Panels, 50895. In nice condition. Panels will not warp, rot or decay, and allows maximum visibility of your home and yard while also acting as a windbreak on your deck or patio. 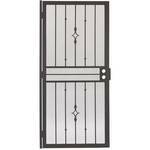 Use glass gasket to hold panels securely in place (glass gasket is sold separately MFG model number 50940). You are bidding on 2 glass panels only. Pella 250 Series Double Hung Vinyl Replacement Window With Full Unit Screen And Muntin Between Glass. Pella 250 Series Double Hung Vinyl Replacement Window With Full Unit Screen And Muntin Between Glass. 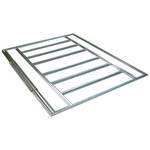 Window measures approximately 40" X 57" X 3 1/2". Argon filled glass for exceptional insulation. Window has never been installed and is in nice condition. Dual locks on sash for added security. 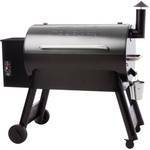 Ideal Pet 6.625 in. x 11.25 in. Medium White Vinyl Pet Patio Door fits 92.75 in. to 94.5 in. Vinyl Slider, 94VIP150M. In nice condition. Ideal for pets weighing up to 35 lbs. and up to 6-1/2 in. wide. Flap is constructed of hard plastic panels with flexible joints to prevent trapping of your pets delicate paws, ears, and tail. 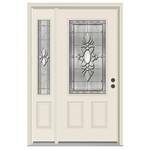 Lock-out panel and self-closing flap deter unwanted pests from entering your home. 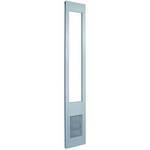 Panel can be installed in either a right or left hand sliding door opening. 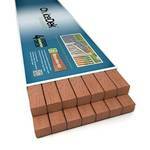 3 ChoiceDek (Common: 4-in X 4-in x 4-1/2-ft) Coastal Redwood Composite Deck Post 228321. Resists stains, mold and mildew all the way to the core. Made from 95% recycled content and protects against rot, termites, or insect damage. 8 Cases of ChoiceDek (Common: 2-in x 2-in x 30-in) Coastal Red Composite Deck Baluster 142078. Each case includes 14 pieces, the perfect amount of balusters to complete one 6-ft section of ChoiceDek speed rail. Resists stains, mold and mildew all the way to the core. Made from 95% recycled content and protects against rot, termites, or insect damage. 4 TREX 4 in. x 4 in. x 39 in. White Composite Post Sleeves, 5457472. Fits over a 4x4 pressure treated post. Unrivaled fade, stain, scratch and mold resistance. Cleans easily with just soap and water. 5 Cases of Trex Transcend Charcoal Black Aluminum Deck Baluster, BKTA30RBK. 20 Balusters/case. Used for 36" Rail Heights. To complete a Trex Transcend horizontal railing section, you will need the following components (sold separately): post sleeve, post cap, post skirt, top rail, bottom rail and infill kit. 11 Gilpin (Actual: 1.25-in x 1.25-in x 4-ft) Patterson Black Metal Deck Post 670, 48-in Patterson post is used with 4-ft Patterson railing (#147999) or 6-ft Patterson railing (#418000). Pre-drilled holes for ease of railing installation. Can be cut to custom size. Installs with floor/column flange (#14256). 10 Cases of ChoiceDek (Common: 2-in x 2-in x 30-in) 14/Case Beach House Gray Composite Deck Baluster 134207. Perfect amount of balusters to complete one 6-ft section of ChoiceDek speed rail. Resists stains, mold and mildew all the way to the core. Made from 95% recycled content. 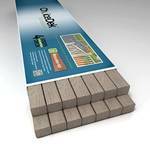 7 ChoiceDek Foundations Beach House Grey Composite Deck Posts (Common: 4-in X 4-in x 4-1/2-ft), 1000281. Resists stains, mold and mildew. Made from 95% recycled content. 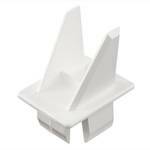 9 Packages of Fiberon 30-Pack White Stair Sq Bal Insert Model: BAL12 AD SQ ST 30 WH. stair inserts are required on the Fiberon Homeselect railing systems to install square or turned balusters in a stair application; not required in a horizontal rail installation. 2 Fiberon (Common: 1-in x 1-in x 36-in) 5-packs Homeselect White Composite Deck Baluster Model: BAL SQ 33.5 5PK WH. Square Balusters. 10 total. 6 Cases of Freedom (Common: 3/4-in x 3/4-in x 32-in) 15/Case White Spiral Aluminum Deck Baluster 674884. 1 baluster kit (15 balusters) completes 1 rail section. 7 Cases of Freedom (Common: 3/4-in x 3/4-in x 32-in) 15/Case Black Spiral Aluminum Deck Baluster 674885. 1 baluster kit (15 balusters) completes 1 rail section. 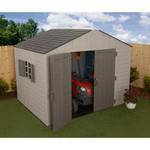 Arrow 9.85-ft x 6.06-ft Metal Storage Shed Floor Kit FB109. Arrow 9.85-ft x 6.06-ft Metal Storage Shed Floor Kit FB109. Fits standard Arrow 8 x 8-ft, 10 x 7-ft, 10 x 8-ft, 10 x 9-ft, and 10 x 10-ft buildings. Floor Frame Kit only, floor finishing materials and shed are not included. US Leisure 10 ft. x 8 ft. Keter Stronghold Resin Storage Shed, 157479, In nice condition. There are 4 Boxes total. Features a heavy duty floor and wide door opening that provides ample room for most riding lawnmowers. The shed also features a full-length skylight for ambient light. Cross ventilation. 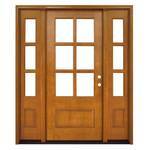 Double doors have an opening of 62 in. 540 cu. ft. storage capacity. Assembled dimension: 120.50 in. W x 96.25 in. D x 98.70 in. H.